VENCEREMOS CHILE | A journey through metaphor and memory. A journey through metaphor and memory. My article in Eureka Street, in which I discuss former President Michelle Bachelet’s UN appointment as Human Rights Commissioner, juxtaposed against her presidencies which facilitated the current impunity that is gaining ground under right-wing President Sebastian Pinera. Mexico at 91 years of age. Ravest had been the individual responsible for broadcasting President Salvador Allende’s last speech, defying a ban by the military that forbade radio messages on September 11, 1973. Ravest’s role did not end there. Following the broadcast, he had the speech recorded and copies made for dissemination, in direct defiance of the Pinochet dictatorship. Ediciones Escaparate has announced the date for the launch of their new publication titled: “Pueblo, Conciencia y Fusil. La Political Militar del MIR 1965-1973). Chile remains a country of contradictions, influenced by the struggle between memory and forgetting. The dictatorship of Augusto Pinochet has left a legacy that has not been adequately challenged since the country’s return to democracy. Human rights and memory groups in Chile have struggled against state institutions and military secrecy over dictatorship crimes. They demand, for example, that Punta Peuco, the luxury prison for former agents of National Intelligence Directorate (DINA, the Chilean secret police under Pinochet) be closed and the inmates transferred to ordinary jails. That such demands remain unmet provide foundations from which impunity can make inroads. 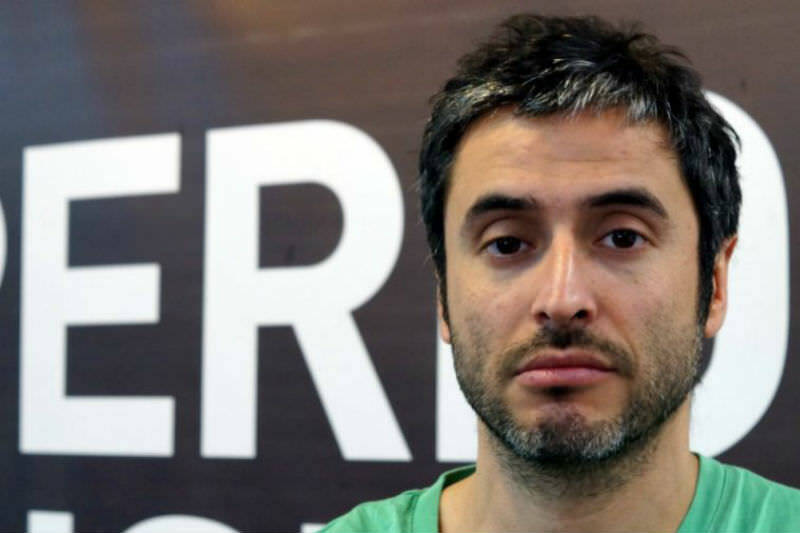 Last week, Chilean media reported that Javier Rebolledo (pictured), an investigative journalist and author specialising in uncovering dictatorship era crimes, was taken to court by former DINA agent and Punta Peuco inmate Raul Pablo Quintana Salazar. Rebolledo is facing ‘calumny’ charges in court, over one particular quote published in his most recent book, Camaleon. Following the news that seven former military offices convicted for crimes against humanity walked free from Punta Peuco prison, it was revealed that Raul Meza, the lawyer representing former torturers, had filed an appeal, and subsequently suspended it “for now”, for the release of the worst torturer in DINA’s ranks, Miguel Krassnoff Martchenko. In a statement, Meza said he will continue working for all convicted torturers to be released. Recently it was revealed that Krassnoff participated in the death flights in 1973 and disposed of three detainees, while still alive, from a helicopter into the sea off the coast of Rocas de Santo Domingo. Krassnoff was also a participant in the killing of MIR leader, Miguel Enriquez. A graduate of the School of the Maericas (SOA), Krassnoff was third in DINA’s hierarchy. He was the commanded of Brigada Caupolican and Brigada Halcon, specialising in the kidnapping, torture, extermination and disappearance of MIR militants. Upon DINA’s dissolution, Krassnoff was integrated into the CNI and tasked with the surveillance and eventual killing of MIR militants. Krassnoff is serving more than 300 years for crimes against humanity. He has described himself as “a soldier who has been transformed into a political prisoner”. It is enough to read the testimonies published on Memoria Viva to dispel this blatant lie. Marta Ugarte, a dictatorship victim who was destined for disappearance. Her body was discovered at La Ballena beach. The Santiago Court of Appeals has ordered the release of Luis Felipe Polanco Gallardo from Punta Peuco. Polanco was one of the officers who participated in the Caravan of Death and a former military pilot operating the death flights who was condemned to prison for the murder of history professor Marta Ugarte, whose body was discovered in September 1976 on La Ballena beach. Ugarte was one of the victims destined for disappearance, like other political opponents who were murdered and their bodies disposed of in the ocean. Ugarte was detained in August 1976 and transferred to La Torre in Villa Grimaldi, where she suffered excessive torture – her nails were ripped off and her body burned during torture sessions. Investigations also showed that despite being given a lethal injection by Dr Osvaldo Pincetti (a torturer within DINA who also worked at Cuartel Simon Bolivar), Ugarte was still alive at the time her body was being packaged for disposal into the ocean. Her body was discovered half naked in a sack, with a wire around her neck. According to evidence given to the courts, Ugarte was strangled quickly before being taken on board the death flights. Ugarte’s body was tied to the rails used to weigh down the body to ensure sinking into the ocean with the same wire used to strangle her. However, the wire loosened, thus causing the body to float and eventually carried to rest on a beach. Ugarte, who held the position of National Comptroller of Education during Salvador Allende’s presidency, was the first confirmed victim of the Pinochet dictatorship. investigative journalist and author Javier Rebolledo, for “calumny”. Quintana, who is serving a prison sentence in Punta Peuco for crimes against humanity committed during the dictatorship era, is being represented in court by his daughter. Rebolledo is a well-respected journalist and an author of several books which are heavily based on testimony. His research has uncovered the crimes of the torture and extermination centre Cuartel Simon Bolivar, as well as the early origins of DINA through accounts and analysis of the Tejas Verdes contingent. Please help Rebolledo by signing this petition – it is unthinkable that a former torturer claims to have incurred damages while a journalist is facing a possible prison sentence merely for uncovering the truths about Pinochet’s violent dictatorship.